YEPP, led by President Lídia PEREIRA, is the EPP’s official youth organisation, self-governed by its own statutes, political program and elected representatives. YEPP’s members are national party-political youth organisations. The purpose of all 57 member organizations as well as for YEPP is to provide young people a channel in order to influence the shaping of their societies with democratic means and centre-right, Christian Democratic and conservative ideas. Through its member organisations YEPP brings together between 1 and 2 million young people in 39 countries of Europe. This makes YEPP the largest party-political youth organisation in Europe. 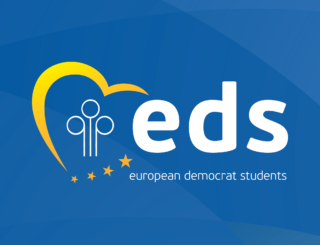 EDS is the official students’ organisation of the EPP. Since it was founded in 1961, EDS brings together students and young political leaders from all over Europe to promote a political pro-European exchange. Although being a students’ organisation, and therefore taking a special interest in topics like the Bologna Process, the organisation is especially aware of the importance of promoting values like freedom, democracy and human rights. 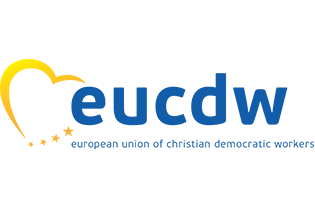 Led by its Chairman Virgilio Falco, EDS has 42 member organisations from 35 countries, representing over 1,600,000 students and youngsters, including non-EU member countries like Ukraine, Israel, Belarus and Georgia. EDS is not a centralised organisation; it is an “organisation of organisations”, a networking structure whose general aim is to bundle the power of the various members in order to give young people and students a strong voice. Every year the organisation hosts summer and a winter universities and several seminars, publishes the “Bullseye” magazine four times a year and campaigns, through various forms, for the interests of young people. Founded in Madrid in 1995 and led by its President An HERMANS, ESU is the largest political senior citizens’ organisation in Europe. The ESU is represented in 27 states with 41 organisations and about 1,269,000 members. The ESU is dedicated to the advancement of rights of European senior citizens and their engagement in society. The aims of the ESU are the promotion of the role of the elderly in ageing European societies, the fight against discrimination of the elderly, the European pension systems, seniors and volunteering, intergenerational relationship & participation. The EUCDW is the workers’ organisation of the EPP with 22 member organisations from 17 different countries. As the officially recognised EPP association of workers, the EUCDW is led by its President Elmar BROK, MEP, and has the following aims: to press for the political unification of a democratic Europe; to promote the development of the EPP on the basis of Christian social teaching; to represent and defend worker interests in European policy; to work for the achievement of Christian social principles and policies in the European workers’ movements; to step up co-operation with the workers and their representatives to realise step by step the European Social Model. Therefore, in the last years, the EUCDW has spent a lot of effort in influencing employment policy and defending an undivided Europe of social justice. 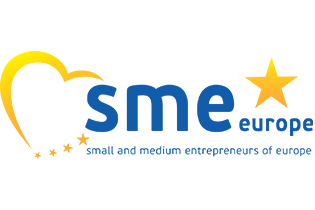 SME Europe is the EPP organisation for Small and Medium Entrepreneurs. It is led by Bendt BENDTSEN, MEP. Its purpose is to shape EU policies in a more SME friendly way. SMEs are the backbone of the European economy as it is especially them that create sustainable jobs, growth and prosperity. As a pro-active organisation within the political networks of Christian-Democrats and Conservatives, SME Europe wants to bring a new spirit and a fresh entrepreneurial wind into the political debate. The interests of SMEs are best served when market mechanisms can freely make an impact. It is about time to contain the role of governments, so we need to have less and smarter state intervention. This provides the best framework conditions for SMEs to grow. EPP Women is recognised by the EPP as the official association of women from all like-minded political parties of Europe. EPP Women have over 40 member organisations from countries across the European Union and beyond. 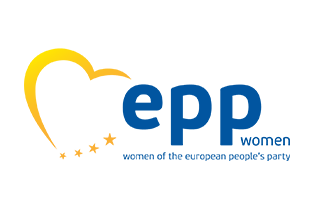 All member organisations are women’s organizations from political parties which are members of the EPP. EPP Women, led by its President Doris PACK, is dedicated to the advancement of women’s political participation throughout Europe and to the promotion of important women-related issues.